OneSpare | Manage your donation requests, save time, and promote your business. Promote your business. Increase your revenue. Use our free solution. Turn charitable donation requests into revenue that "moves the needle". Promote your business to an extremely affluent audience. Our free platform leverages the promotional power of non-profits to fill slow periods and vacancies while maintaining rate integrity. Our solution is ideal for vacation providers, golf courses and resorts, cruise lines, retailers, restaurants, and instructors. We gather all of these fun experiences and we ensure that valid non-profits have all of the best promotional tools to promote your business. You’re in full control. You decide exactly what is promoted. You enjoy extensive tracking and reporting. You’ll now have an extremely efficient and profitable way to respond to requests from charitable organizations. 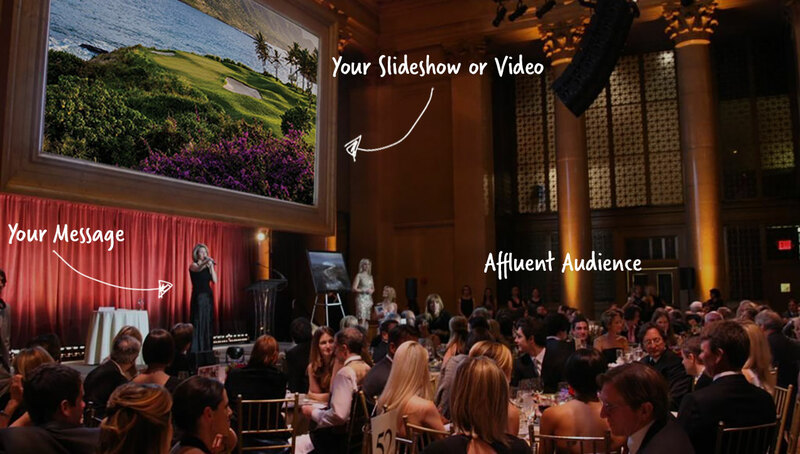 You’ll be able to leverage the amazing promotional power of black tie fundraisers and thousands of private label websites to boost your brand halo and generate incremental revenue during your slow periods. Promote your brand to an affluent audience and move the needle. We've built a network of over 5,400 non-profits supporting private schools, major universities, research institutes, museums, environmental, health and human services, youth development, alumni associations, and more. We verify each non-profits 501c3 IRS status when non-profits apply for their accounts. You’ll enjoy automated promotion to your ideal audience. The experiences that you post are promoted on thousands of private label websites and at black tie galas. You’ve just discovered an efficient way to build your "brand halo" and generate incremental revenue. See the "OneSpare Advantage"
Demand created by the "cause"
promote your brand and generate revenue! 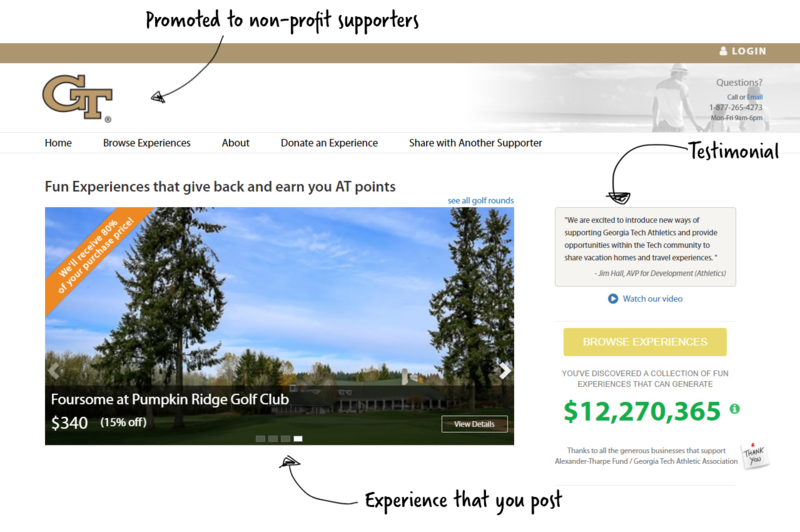 Your business is automatically promoted at fundraising events. We provide them with a full color flyer featuring photos, your logo, and company details. You'll control exactly how they promote your business to their supporters. Fully automated. You decide how many certificates per year that you would like to issue. You decide on certificate details and restrictions, and we handle the rest. When a charity asks you for a donation, you now have an easy answer for them. No more spending time preparing expensive promotional packages or printing certificates. Set up your certificates so that they automatically fill slow periods (that would ordinarily go unfilled). You can specify specific periods and you can collect a meaningful portion of the revenue if you choose to do so. You’re in full control. © 2019 Geronimo Solutions LLC.